Image source: Bosch Smart Homes. Bosch Twinguard smoke detector. Bosch Twinguard is a smoke detector that’s also capable of monitoring indoor air quality. It detects and monitors smoke as well as pollution levels, temperature, and humidity. 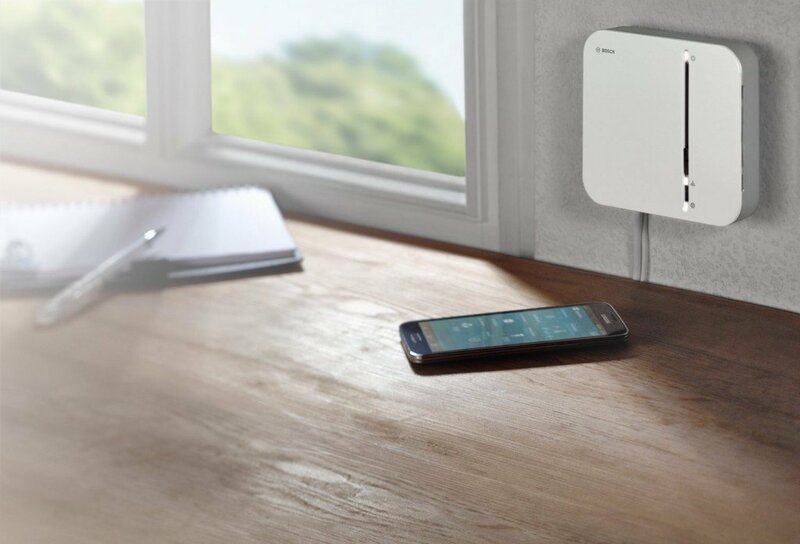 This device connects seamlessly to your wireless network at home and it’s therefore really easy to get started. This implies that you can control Bosch Twinguard with an app installed on your mobile phone. The app sends out notifications in case a fire starts in your home. One wonders whether a phone call would be more suitable than an app notification in case of something so hazards as a fire? The retail price is €150. More information about Bosch Twinguard in German here. Image source: Bosch. 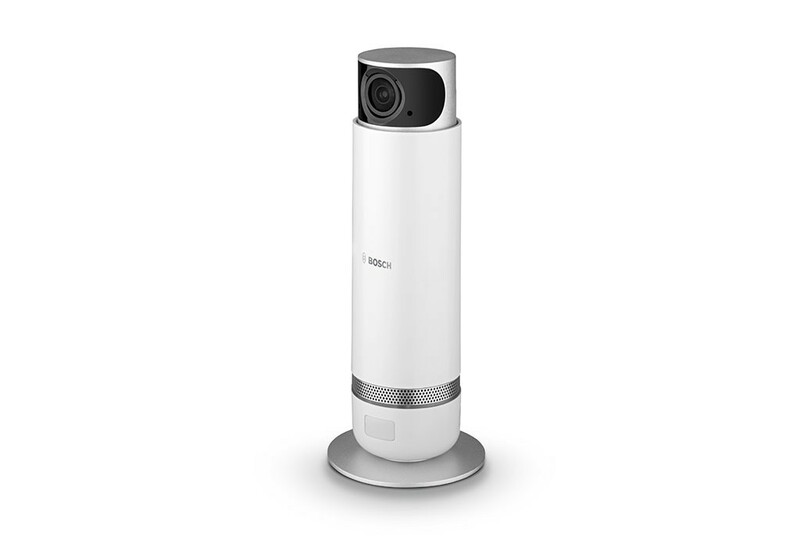 Bosch 360 indoor camera. The Bosch 360 records and monitors what happens in your home in full-HD format. The camera head can rotate 360 degrees. Similarly to Bosch Twinguard, it connects to the Wifi in your home and is controlled by an app. Hence, you can peek inside your home wherever you are. It’s also possible to view what’s happening at night since Bosch 360’s camera supports infrared. Hence, this is a capable security camera. The recordings are stored on an SD card. The outdoor camera system is called Bosch Eyes. It consists of a camera, motion sensor, and a lamp. It can detect motions within a range of 10 metres. Images of a person or an object cause the detector to set off and generates an app notification. The indoor camera Bosch 360 costs €250 and the outdoor camera Bosch Eyes €350. The new smart home products will first launch in select European markets at the end of the year. We’ll likely receive them in New Zealand at the beginning of 2017.